This hasn’t happened for over 20 years: a gathering of 22 Dutch masterpieces on display in an exhibition dedicated to National Trust paintings. Such is the demand for each of these important paintings in the UK and abroad that they very rarely venture out together. 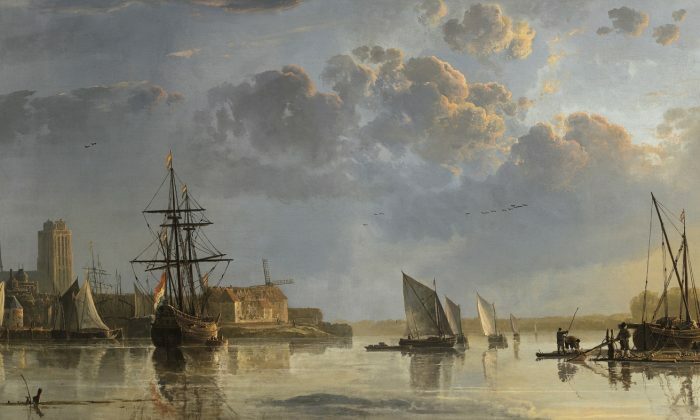 “Prized Possessions: Dutch Masterpieces From National Trust Houses” at The Holburne Museum in Bath, England, is the exhibition where these Dutch masterpieces meet and are on display through Sept. 16, 2018. From the lesser-known names of Simon Pietersz Verelst and Adriaen van Diest to the well-known greats Rembrandt van Rijn, Peter Lely, Gabriel Metsu, Aelbert Cuyp, and Cornelis de Heem, now they gather in all their glory, in a setting that is kind of a home away from home. Each painting in this particular exhibition normally resides in a stately home or country residence. To visit and view the paintings in their 12 respective houses would take some time, as they are spread across the UK from Castle Ward in Northern Ireland to Devon’s Buckland Abbey. 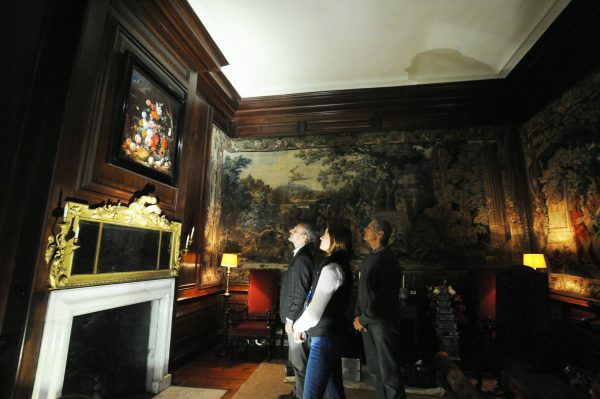 “Prized Possessions: Dutch Masterpieces From National Trust Houses” takes place at one such home, the 18th-century Holburne Museum in Bath, in the county of Somerset, England. The Holburne Museum was originally the Sydney Hotel, built from 1796 to 1799. The hotel’s pleasure gardens were where balls, public breakfasts, and firework displays took place and were much loved by locals, such as literary great Jane Austen, who lived opposite, at No. 4 Sydney St. from 1801 to 1804. The Holburne Museum was founded to hold Sir William Holburne’s art collection. Holburne had a career at sea, ending with the rank of commander, and he avidly collected art in his retirement. His collection was particularly known for its silver and old masters paintings, as well as other masterpieces such as Antonio Susini’s “Crouching Venus,” once owned by King Louis XIV. The paintings exhibited alongside Holburne’s own Dutch collection are all from the prolific Golden Age of Dutch painting and had been either collected or commissioned by patrons of stately homes or country houses. All properties that the visiting artworks come from are now in the care of the National Trust, a conservation charity in England, Wales, and Northern Ireland set up to preserve the heritage of these countries. The exhibition explores how country homeowners came to collect these Dutch paintings from the aptly named Golden Age. 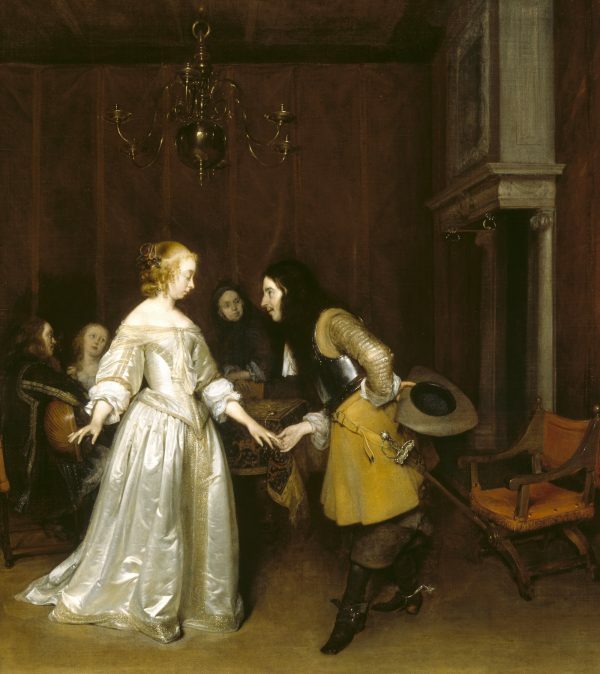 It was a time when the Netherlands had just gained its independence in 1648, and the country quickly experienced “a new confidence and prosperity that saw a burgeoning middle class with money and an interest in commissioning and displaying art,” said David Taylor, the National Trust curator of pictures and sculpture, in a press release. 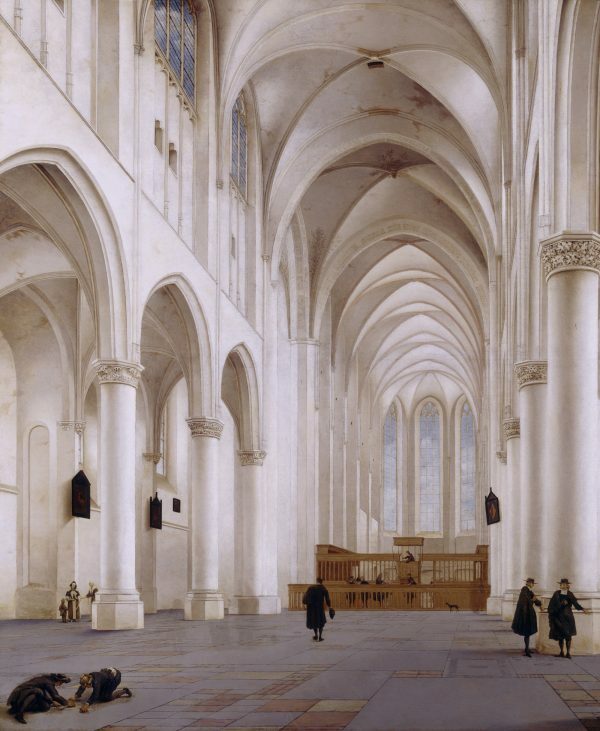 At the time, commissions came in for Dutch artists from across Europe. 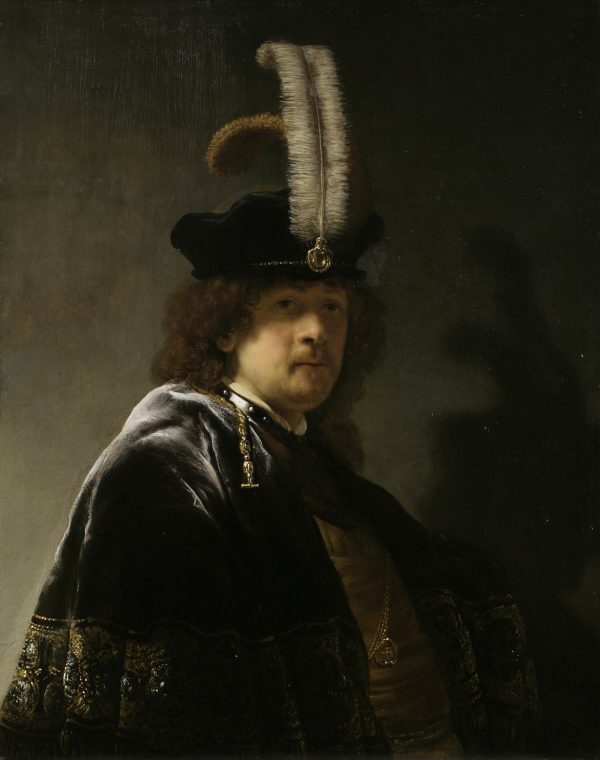 The Holburne Museum exhibition includes many of these gems across genres, such as Rembrandt’s “Self-Portrait, Wearing a Feathered Bonnet,” which was fairly recently attributed to him in 2014; religious paintings such as “A Magus at a Table” by Jan Lievens and “The Interior of the Church of St Catherine, Utrecht” by Pieter Saenredam; and Aelbert Cuyp’s “View of Dordrecht,” a maritime picture painted full of lustrous light, with its imposing storm clouds almost chasing down the sailing ships. Of course, landscape and still life are genres not left out. “Prized Possessions: Dutch Masterpieces from National Trust Houses” will be at Holburne through Sept. 16, 2018, and then the exhibition tours to the Mauritshuis in The Hague in October, and returns to England’s Petworth House in West Sussex in January 2019.